The Urban Gospel Music Blog is for the sole purpose of propagating the good news to all. Stay tuned and remain blessed. Jesus did it. You can submit music, lyrics, articles or profiles you want published on the site. Just contact us via the email, urbangospelblog@gmail.com. Attach to all contents your social media handles as well. God bless. 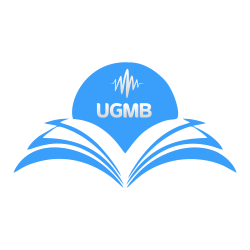 You’re welcome to The Urban Gospel Music Blog popularly known as UGMB. This is our blog on wordpress.com. We recently launched our official website, http://www.urbangospelblog.com. Kindly visit our official website for more exciting content. Follow us @urbangospelblog on all social media platforms. PS: Even though we have an official website, our blog is not dormant, no. We still keep this updated. The blog is working hand in hand with the website. UGMB, your urban gospel music hotspot. Stay blessed . By popular request multiple award winning trio, Preachers have released “Preach It” off the “Level Up” album. Enjoy this one and please don’t forget to recommend for a friend as well. Listen to Preach It (prod. by MikeMillz) by Preachers now; For the latest updates and more exciting content, follow @urbangospelblog. Stay blessed. “N’adom” finally drops from up and rising star Dre lexis featuring one of the finest acts, Bliss. “N’adom” basically means “His grace”. Enjoy this one from the camp of State Recordz. For the latest updates and more exciting content, follow @urbangospelblog. Stay blessed.